Kangen Water® is the delicious, healthy water created from Enagic's innovative water technology. Not only do these amazing devices filter harmful chemicals out of tap water, but they also produce Kangen and acidic waters through the process of ionization. These water types can be used for various purposes, including drinking, cooking, beauty, and cleaning. "Kangen" means "return to origin" in Japanese. Problems with commonly used waters. Tap water is better than buying soft drinks, but according to recent investigations, tap water in 42 states has been found contaminated with more than 140 unregulated chemicals that lack safety standards! At the current levels of contamination, the public doesn't always trust tap water and believes that water from the tap isn't safe enough to drink. Based on these facts, it's no wonder that the demand for Kangen Water® is constantly increasing. It's healthier, it's cheaper and it tastes better. Bottled water is not necessarily healthier than tap water and yet it costs much more! Although associated with healthy water, bottled water is not guaranteed to be any healthier than tap water. The only difference is the added minerals that have no proven health benefits. Studies show that 1/3 of bottled water contains levels of contamination which exceed allowable limits. Add to that the fact that bottled water is usually acidic and has no antioxidant impact and you can draw your own conclusions very easily. And, we didn't even mention the environmental disaster caused by the production and disposal of plastic bottles. This is a filtering process which may be effective in areas that do not receive municipally treated water. The problem with this process is that dangerous chemicals like pesticides, herbicides, and chlorine are molecularly smaller than water and can pass freely through its filter. Another problem is that reverse osmosis removes healthy, naturally occurring water minerals. These minerals not only provide the good taste, they also serve a vital function in the body's system. When stripped of these minerals, water can be unhealthy. Add to that the fact that 2-3 gallons of water is wasted for every gallon of purified water that is produced and you can see why it can't be a serious alternative to Kangen Water®. Water that have many health benefits. With a pH of 8.5-9.5, this type of water is perfect for drinking and healthy cooking. It works to restore your body to a more alkaline state, which optimizes health. Drink 2-3 cups of water first thing in the morning. Unlike tap water, Kangen Water® has no unpleasant odor, tastes lighter, and has a pleasantly sweet flavor. Kangen Water® balances the acidic and alkaline effects of foods. 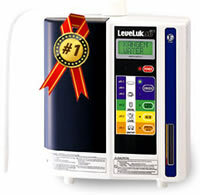 Looking for a Kangen Water machine? Call 310-569-8989 ask for more info.